Bruce’s passion for the sea was ignited when his Dad and he built a 17’ windmill in their garage in Orange, Texas while he was in the first and second grade. 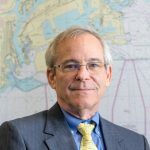 Today he is passionate about using his experiences and the sea to help today’s youth understand the importance of STEM knowledge and encouraging them to have happy and productive lives. He spent twenty-seven years with Motorola before joining the non-profit world. As a Vice President at Motorola he worked in Engineering, Manufacturing, Sales and Marketing, Strategic Planning, and Business Development and was based in both the US and Europe. With Bachelors and Master’s degrees in Electrical Engineering and an MBA he is well versed in both the technical and business challenges of running an organization. 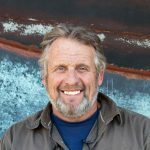 After retiring from Motorola in 2006 he joined the Ocean Institute in Dana Point, California where he learned many of the ropes of the tall ship world, first as volunteer coordinator and then as First Mate of Pilgrim and shipwright for both Spirit of Dana Point and Pilgrim. 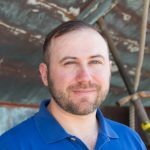 Before joining LAMI on 12/1/2013 he spent two years at the San Diego Maritime Museum as Project Manager in charge of building the tallship San Salvador, a replica of a 1542 Spanish Galleon. He is a licensed 200-ton captain, he and his wife own a Catalina 320 sailboat, and is a Coxswain in the U.S. Coast Guard Auxiliary. He serves on the Economic Development and Policy board and is a Board Member of the San Pedro Chamber of Commerce. He also is an International Trade Academy Advisory Board Member for International Trade Education Programs. Anita grew up in the city of Wilmington where she attended a private High School. She has the hobby of crafting and doing artsy things. She loves her two daughters and two sons, and they are her joy. She has been with LAMI since 2004. Her favorite color is red, favorite food is Italian, and dislikes rock music. 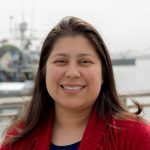 Alice is the Director of Development, Sales & Marketing for the Los Angeles Maritime Institute at the LA Waterfront in San Pedro. Besides her relentless pursuit of grant opportunities, she has a great job of selling sails on twin brigantine tall ships that sail practically every day out of the Port of LA. 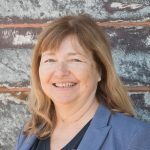 She came to be involved with the Maritime Institute through her grant writing work in San Pedro and Wilmington with the Harbor Community Benefit Foundation and other local non-profits after a long career with Hughes-GM-Boeing in market research and new business development. As the Director of Education, Noah Kalb is responsible for designing and implementing curriculum on LAMI programs, and for training and overseeing staff be successful and engaging educators. 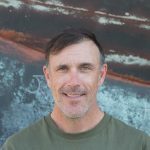 He has a Master of Arts in Education and a decade of experience teaching in a variety of formal and informal settings, including on tall ships and in California public high schools, making him effective at bridging field trip programming to the needs of classroom teachers. He is a history buff and a science fiction nerd and actually looks forward to thunderstorms. He has worked as a broadcaster in Korea and taken long road trips in the Rocky Mountains and Ireland. Ben Saint aka Tiny got his sailing start on the Lady Washington in 2007. 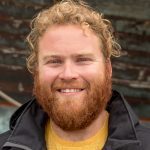 Originally from Idaho, he would spend the next ten years pursuing his new passion for sailing and his lifelong passion for youth education and learning. His favorite color is midnight purple and he worked for LAMI back in 2009-13 and left to start his family and now he is back as captain of the Exy Johnson. Ben recently adopted a dog who now lives on the boat with the crew. Captain John has worked with LAMI since 2007. John came up through the ranks starting down in Dana point on board the Brig Pilgrim cutting his teeth with Captain Doug Corey. John Started sailing tall ships in 1996 while he was in school, entertaining the idea of a teaching credential, like his 4 siblings. Tall ship sailing became a passion and the rest was history. John resides in an actual home in Huntington Beach with his wife and 3 children. There are a couch and a bathtub and a cat named Megalodon. Music gets played a lot in this house. Music about sailing. Milly La Roe started volunteering with LAMI in 2015, along with her teenage son. 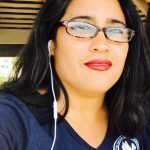 After years of being a volunteer and youth crew mom, she has joined our team as LAMI’s volunteer coordinator. She loves the outdoors and going on long sailing trips. When not sailing at LAMI or on her own boat, she is an accomplished singer and loves to cook.